Fargo creator Noah Hawley really wanted to make an Alien miniseries on FX. Obviously, it didn't work out, but it certainly would have been welcomed with open arms by Alien fans. There have been rumors of the franchise hitting the small screen for some time now, with original director Ridley Scott reportedly on board to executive produce a possible series for Hulu along with another mystery project. However, it looks like all of these projects are pretty far from becoming a reality. Fox's film chief Stacey Snider is reportedly the one who shut down Noah Hawley's attempt to bring a live-action Alien TV show to the masses. There is no other information about what the show would have been like as it is only mentioned in a new story pertaining to Disney's recent acquisition of Fox. Snider may have been clued into the inner workings of the Disney deal before a lot of other people, which could be the main reason the show never ended up getting to the development phase. Disney has showed interest in putting out R-rated content, so an Alien TV series in the future isn't impossible. With that being said, the franchise is probably on the backburner while Disney tries to figure out what they're going to do with all of the many properties they just acquired. 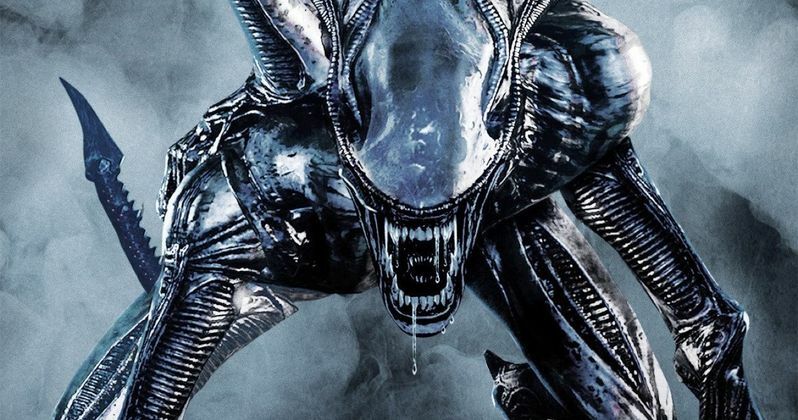 The status of Ridley Scott's Alien: Covenant sequel is currently unknown, but Merlin, a live-action movie on the formative years of the wizard, may come before anything. This could give Scott the leverage with Disney that he needs to get the Alien franchise the attention that it deserves. Related: Did the Alien TV Show Finally Find a Streaming Home? Ridley Scott started the Alien franchise back in 1979 with the first Academy Award winning movie. Since then, there have been numerous sequels, spin-offs, video games, comic books, and a ton of merchandise flooding the market. In honor of the 40th anniversary of the franchise this year, six short films are coming out. A documentary about the making of Alien premiered earlier this year to rave reviews, proving that there is still a hunger for the franchise and a possible TV series from Scott and maybe even Noah Hawley. With Disney now officially in control of the Fox properties, it's going to be very interesting to see what they do with them and how quickly they do it. When one thinks of Disney, the Alien franchise isn't really at the top of that list. However, the same thing was probably said about the Marvel Cinematic Universe too. Disney is going to have themselves a giant chunk of just about everything and they will often be in direct competition of themselves when all is said and done. Let's hope they put some attention on the Alien franchise for the Covenant sequel and a TV show in the future to compete with everything else they have coming. This news was first reported by Deadline. Did the Alien TV Show Finally Find a Streaming Home? Alien TV Show Being Planned at Fox?